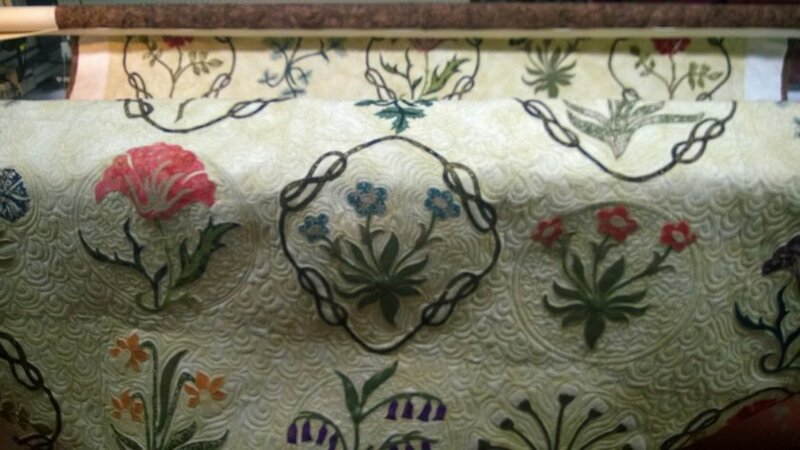 Our Professional Long Arm Quilter can quilt many traditional, contemporary and artistic freehand designs. There is also an assortment of printed pantograph designs to choose from. Basic edge to edge quilting is .015 cents per square inch. 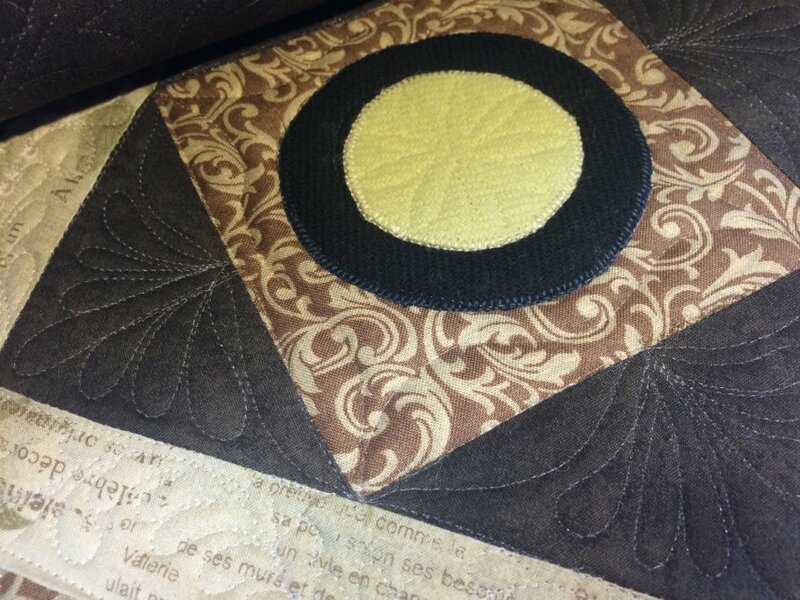 Edge to Edge is either a printed pantograph or a single design freehand quilted. Please note that any pantograph may be free-handed by our artist at their discretion unless you request otherwise. Free-handed work will always be unique, even if you choose or request a printed pantograph the design is still made with a free-motion machine and will not be an exact rendition. Each Capstone Creations quilted quilt is a unique work of art. Custom design quilting is .02 cents per square inch. Let your imagination soar! There are no pattern or thread restrictions on our custom work. Just can't decide on a pattern? Feel free to choose Quilter's Choice Custom or Quilter's Choice Pantograph and we will select a pattern for you! 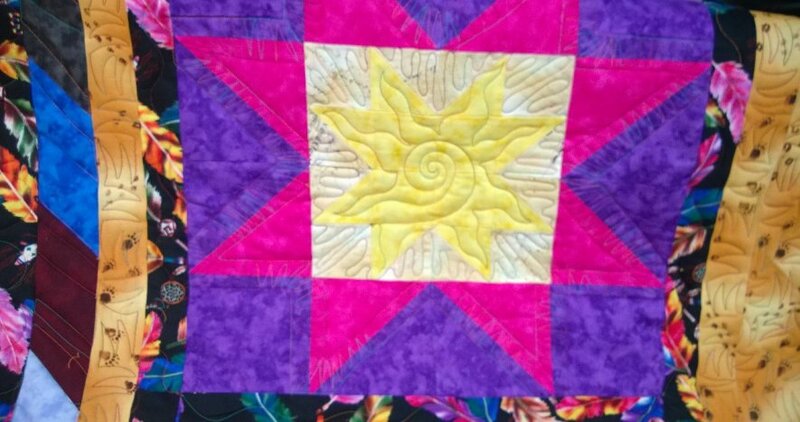 Capstone Creations retains the right to substitute a different pattern of equivalent value if the quilter deems the pattern unsuitable for the top. This is a rare and you will be contacted if a substitution is deemed necessary. Capstone Creations retains the right to refuse any quilt top. Batting can be purchased in the shop or you can provide your own. Click here to see our batting choices. Thread is provided in the cost of the quilting. We use the highest quality quilting threads. We have an array of colors including variegated threads. There are no extra charges for switching back and forth from different thread colors. Please be aware if requesting a different thread color on the top and bottom that the secondary color may show through. Notice: Capstone Creations retains the right to photograph quilts we quilt and to use those photographs for promotional purposes. If your quilt is shown and places please inform us! Binding is not included. Binding is available for a separate fee of $.07 per linear inch. Bindings will be hand stitched on the back. Additional preparation such as repairs, trimming, pressing, stabilizing, etc are available for additional charges. Please ask us about your specific needs when you bring in your top or call for a quote. 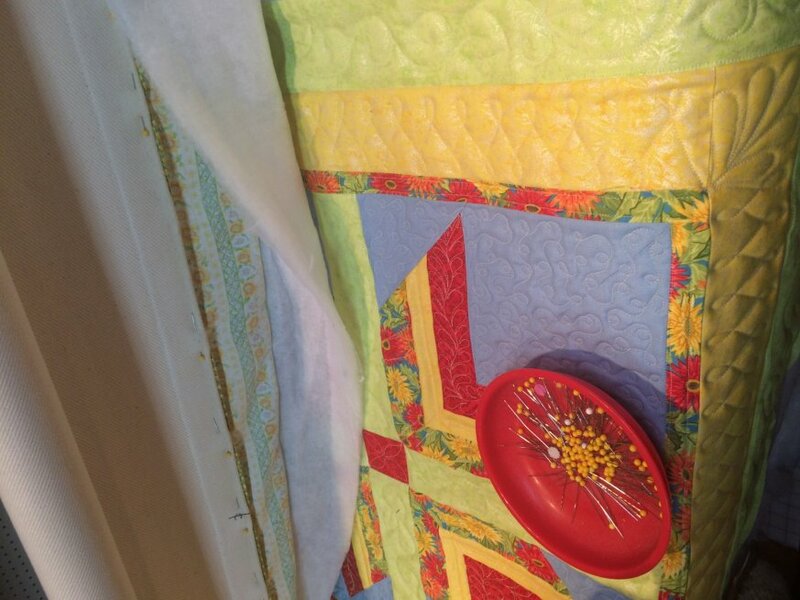 ¨ Press all seams flat and trim all strings and excessive seam allowances from your quilt top. Be sure to remove any paper from paper piecing. ¨ Make sure the quilt top and backing are pressed and lay flat to prevent puckering. ¨ Square-up and trim quilt top to its final size—measuring the same amount in 3 places in both directions. 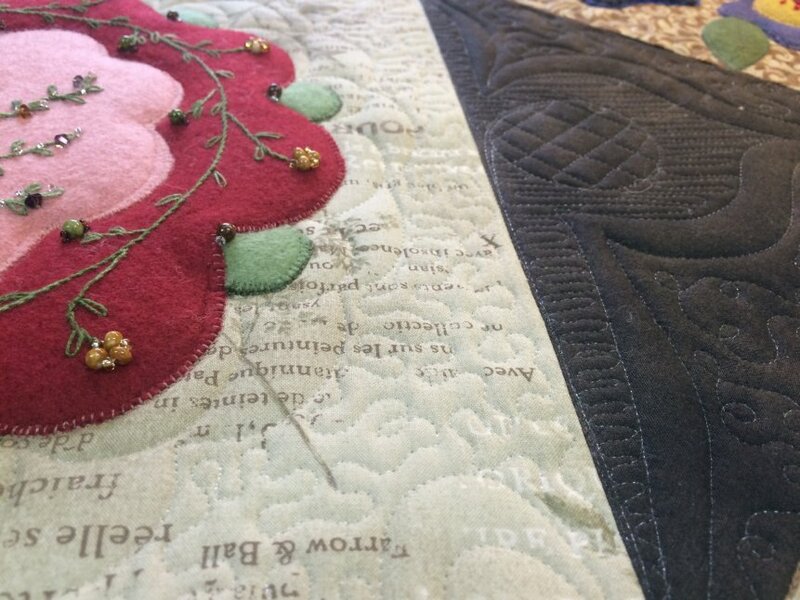 Tops can shift during quilting and any "waisting" or "bloating" of the edges may result in puckering or poofing in edges. ¨ Properly Measure batting and backing fabric —it should measure 6-8 inches larger than your top **both insufficient and overabundant backing/batting can cause quilting woes! ¨ We can provide batting for an addition cost or you can provide your own. We reserve the right to refuse any batting that is of inferior quality. .. Please ensure that your quilt is free from rips, tears, holes, or excessively hard seams. A top with holes/tears will either be rejected or incur a repair fee. Holes/tears can result in damage to both your quilt top and the quilting machine during the quilting process. Want a Capstone Creations quilted quilt but don't live nearby? NO PROBLEM! We can receive your quilt in the mail. quilt it, and return it to you! Fill out our Quilting Service Order Form or Contact Us for a quote before sending in your quilt.